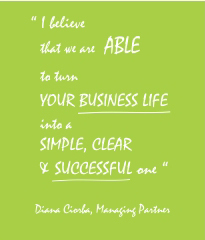 Vision: to turn your business life into a simple, clear and successful one! Mission: simple, ingenious and customized marketing & investment solutions. Open mindness. Despite being innate, we always have to shape it, carefully and objectively, by the way we think and act. 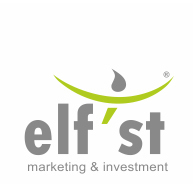 Elf'st is committed to train itself for a continuous “open-minded” attitude. Processing ideas, thoughts, facts, attitudes and releasing action plans and strategies to implement are built on an open and well prepared mind. Safety. We all are striving for it! “Business Life” and “Safety” seems too idealistic. Nevertheless, safety is a platform on which Elf'st wants to bring its stakeholders. Drilling in risky areas in order to obtain success and goodwill requires many safety methods and techniques. It's our job to bring them to you. Accuracy. When working with data, it has to be as precise as possible. Accurate information and accurate communication convey overall understanding and lie at the basis of mutual satisfaction. They also allow for correct projections and analysis. We love expressing concepts in such a clear manner that anyone can feel at ease dealing with them. Commitment. No great thing was ever achieved without it! Passion, dedication, motivation and responsibility generate commitment. Everyone knows where the finish line is, but it is only the committed who cross it. Positive attitude. Attitude matters! Both in the short and the long run, attitude is the key to success. Treating each obstacle or issue with a positive attitude creates a platform for open discussion and solutions. Positive attitude is contagious and it is just lovely to see everybody smiling and finding joy in doing business.